Summer time vacations and picnics are right around the corner for northwesterners. Stay safe while BBQ’ing. Watch these safety tips. BBQ Grill Safety. Gas grills were involved in 6,400 home fires. 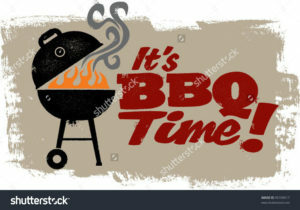 Facts & figures In 2003-2006, U.S. fire departments responded to an average of 7,900 home fires involving grills, hibachis or barbecues per year, including an average of 2,900 structure fires and 5,000 outside fires. These 7,900 fires caused annual average of 10 civilian deaths (to the nearest ten), 120 reported injuries and $80 million in direct property damage. Although gas grills are used roughly 1.5 times as often as charcoal grills, they were involved in five times as many fires. Gas grills were involved in 6,400 home fires, including 2,100 structure fires and 4,300 outdoor fires. One-third (33%) of the home structure fires involving grills started on an exterior balcony or unenclosed porch, 18% started on a courtyard, terrace or patio, and 11% started on an exterior wall surface. Flammable or combustible gas or liquid was the item first ignited in half of home outdoor grill fires. In 51% of the home outdoor fires in which grills were involved, 56% of the outside gas grills, and 29% of the non-confined gas grill structure fires, the fire started when a flammable or combustible gas or liquid caught fire.